Stand-up Doug Benson smokes out a drug feud. AND IT STONED ME Benson talks, and takes, THC. It started, of course, as a joke in his act. Well, he made Super High Me, and now it’s out on DVD. Benson—seen also on Last Comic Standing and Best Week Ever—added a prologue to his premise, spending 30 days detoxing from his drug of choice before living the high life for 30 days in a row. The experiment was made possible by a bill passed in California legalizing medicinal marijuana, something the DEA isn’t too pleased about. In fact, while filming, the crew found itself in the middle of a government raid on a dispensary. For someone who claims the film’s aim wasn’t intentionally political, Benson sounded awfully adamant during a recent chat. Time Out Chicago: How serious is this film? Doug Benson: The movie is more serious than I am. Some people say it’s not a particularly incisive or true documentary because it’s kind of one-sided. My argument is that we couldn’t get any cops or politicians or anyone that was antipot to even talk on camera about it. Maybe for fear they’d be ridiculed, or maybe people don’t want to take a hard stance against marijuana publicly. TOC: What did you have to tell the California doctors to acquire a pot-smoking license? 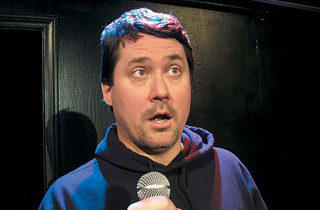 Doug Benson: I don’t think they turn anybody away at these places. They advertise in the local free paper in L.A. You go in, and in my case, I said that I had a bad back. I don’t think of marijuana as a cure for back pain, but if you are in any kind of pain, it does make it better—specifically in the case of cancer or AIDS patients. They have trouble eating and they lose their appetite. That’s one thing I can tell you: Marijuana is great for appetite. TOC: Your series of SuperDeluxe.com shorts, Doug Benson’s I Love Movies, are pretty cynical about the state of cinema today. Were you happy with your own final product? Doug Benson: During the making of it, I saw so many different cuts of the movie. So it was, like, just a tremendous amount of footage that needed to be whittled down to tell the story of my odyssey, or my lack of an odyssey… [Pauses] What was the question? 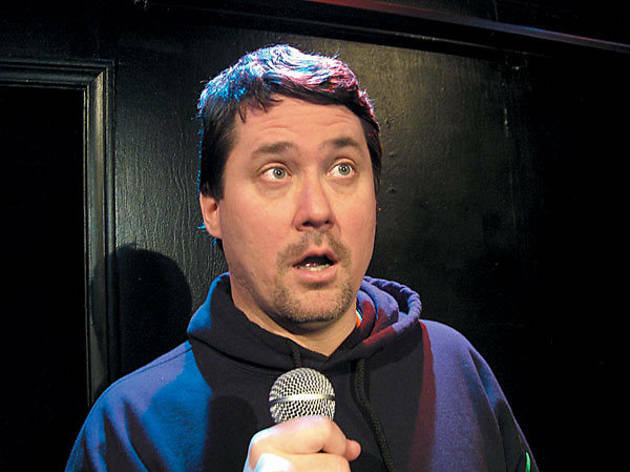 Doug Benson: Oh, yeah! Well, it’s my movie in a sense, but a lot was out of my control: the cinematography and the editing and some other things. So as a cynical movie reviewer, I could find things to not like about it pretty easily. But as someone…like, I’m sure Roger Ebert has never written a terrible review of that terrible movie he wrote. I have very mixed feelings about the movie as a whole. I thought it was too much of a whiplash to be, like, “Hey, laugh at Doug Benson being a stupid stoner, and look at this horrible thing that’s going on with law enforcement.” But I can’t say too much bad about it. TOC: What do you think of the term “pot comic”? Doug Benson: I’m not crazy about it. I’ll take it, because anything you can do to stand out can be good. That’s the interesting thing about Super High Me; now it’s, like, I’m a pot comic for better or for worse. TOC: So are you high right now? Doug Benson: No, I’m not! It’s funny that you should ask, though, because I’ve been sitting around the hotel room waiting for your call, and 4:20 passed. And I was, like, Well, if I get high right now, maybe I’ll make some sense when he calls. And then I thought, No…’cause I’ve done interviews when I’m high, and it just gets babbly and rambly and then you start to get paranoid, like, “This guy thinks I’m a complete idiot” and “My answers are too long.” But I’ll definitely hit my apple pipe—’cause on the road, I just turn apples into pipes—as soon as we’re done. Benson’s a hit at the Improv Thursday 26–Sunday 29. Super High Me is out now.